For confident women, this is a fitted wedding dress with ruffle details and a sweetheart bodice. 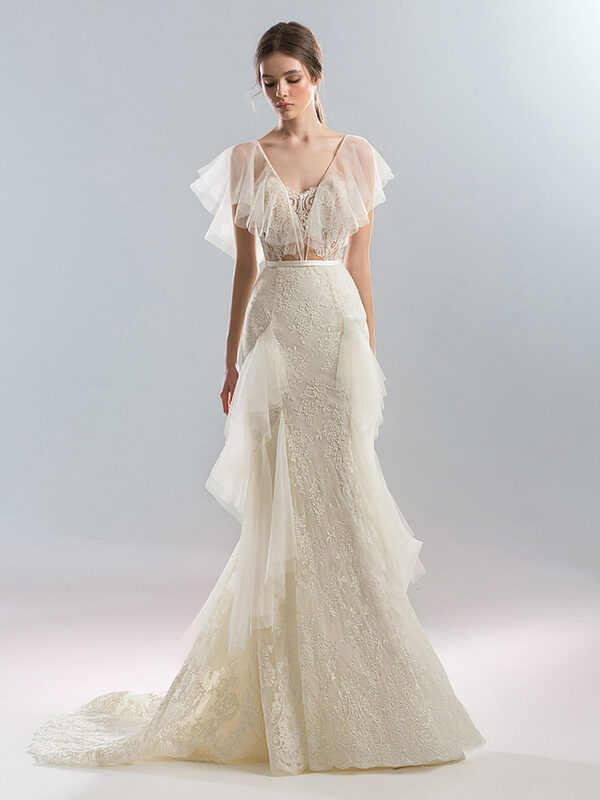 This dress stuns as a lace fit and flare that is elevated with the dramatic ruffled sleeves and tiered ruffles through the skirt. The dress is finished with buttons up the back and a slim belt.